Cake for Dessert is a nice finishing touch to any meal! Type of Cake recipes are you looking for? We have a little bit for all occasions. From adults, 1st, 40th, 50th, kids birthdays. special events to decorating tips, cake mix, ideas, designs and themes. Cake is so easy to make by scratch! Try some of the best homemade cake recipes, cake design, themes and Cake Frosting / Icing Recipes. Share your Ideas patterns designs and techinques. Do you have a unique cake or you did something different & special to a cake. 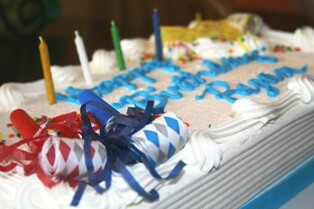 Share your cake photo & picture, recipes or decorating instructions, and any cake thoughts or stories you like.